Pala Casino Resort and Spa set out to revamp the way it distributes video content throughout its facility. 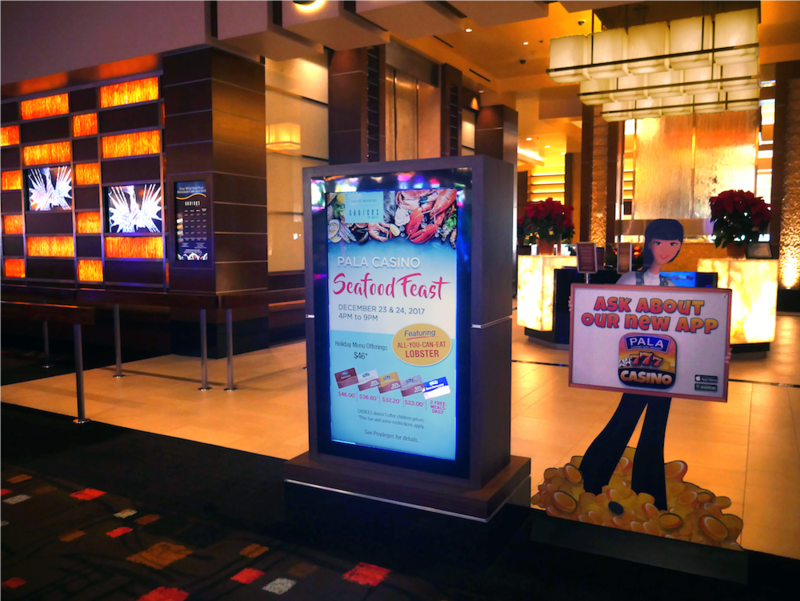 The casino’s legacy PC-based video multicast solution was limited to 480p content, and a rash of reliability issues was brought about by overheating PCs, dust-clogged fans and pesky Windows errors. 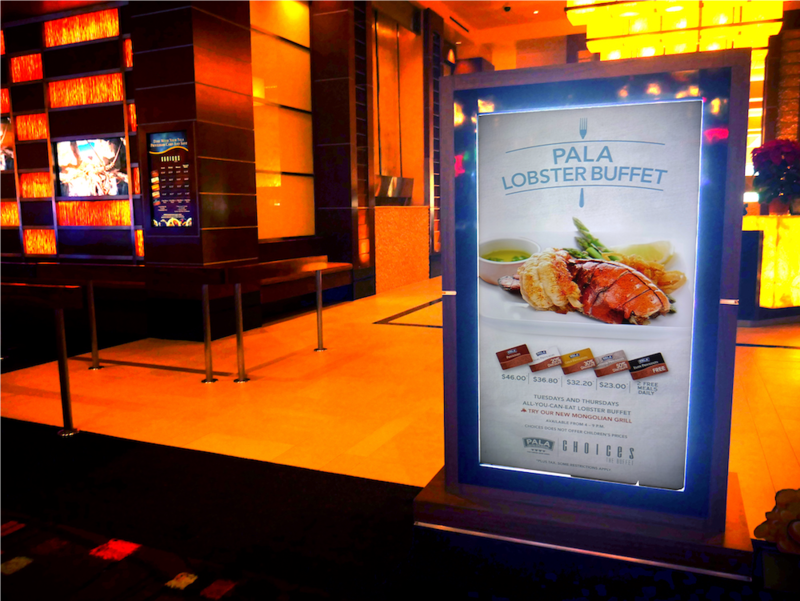 Pala Casino chose Red Dot Digital Media to spearhead a massive overhaul of its video network. Red Dot – a longstanding partner of BrightSign and an advocate of purpose-built video distribution networks – set out to design a custom network comprised of 75 end-points, driven by a constellation of BrightSign media players. 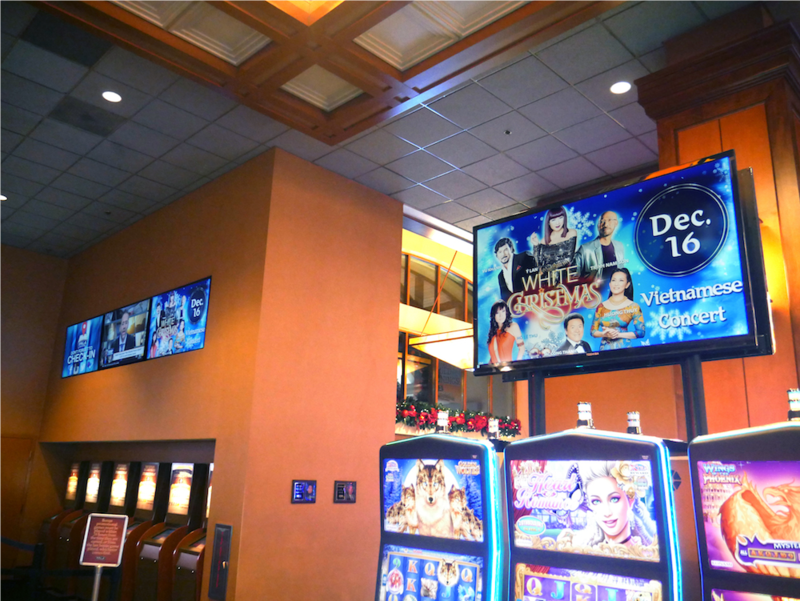 The first phase of the project placed a pair of BrightSign’s media players – an XD1132 and a 4K1142 – in Pala Casino’s DPU room. Sourcing content from an existing bank of servers, BrightSign’s players select and distribute content from an array of 17 custom-designed video channels. The BrightSign 4K1142 pulls content from a selection of cable boxes and other sources, and outputs the content over HDMI to the XD1132, which in turn distributes to players at the end-point displays. The project’s second phase follows a similar workflow, this time driven by a pair of BrightSign’s XT1143 players at the channel level, with one of them pushing content to 75 LS423 players as the endpoints behind each of the displays. Crestron Fusion software was used to create the custom solution, which enables Pala Casino’s Marketing staff to preload content for the week and schedule them via a series of UDP commands. Considering that many displays on the casino floor alternate between 5-6 channels per day, the bespoke scheduling solution does a remarkable job of simplifying the very complex task of content scheduling. Red Dot is a highly qualified BrightSign integrator that provides start-to-finish services nationwide and internationally, including design, specification, installation, custom work and software integration. In the case of Pala Casino, Red Dot completed the project on schedule and on budget.